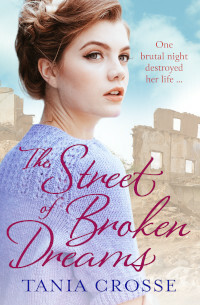 In the summer of 1945, the nation rejoices as the Second World War comes to an end, but Banbury Street matriarch, Eva Parker, foresees trouble lying ahead. Whilst her daughter, Mildred, awaits the return of her fiancé from overseas duty, doubts begin to seep into her mind about how little she knows of the man she has promised to marry. Meanwhile, new neighbour, dancer Cissie Cresswell, hides a terrible secret. The end of the conflict will bring her no release from the brutal night that destroyed her life. Can she ever find her way back? Tania says of this novel: Dance has been a lifelong passion of mine, so it was inevitable that one day I would write a novel in which the heroine is a dancer. And being another story set in the street where I lived as a child, I feel a greater connection to this book than anything I have written before.